In view of the nation’s alarming N22Trilion accrued public debt, reported to have risen over the course of the years since the inception of the All Progressive Congress (APC) led government of President Muhammadu Buhari, Nigerians have expressed their contempt over the reckless and frivolous spending by government agencies mostly seen in the humongous fund allocations to white elephant projects awarded to these alleged money mongers who no doubt are only out to loot and fleece the nation’s treasury. This is seen to be prevailing in the administrative reign of Prof. Charles Quaker Dokubo, who is alleged to have traces of fraud and dirty deals whilst carrying his looting pedigree like a badge of honour. 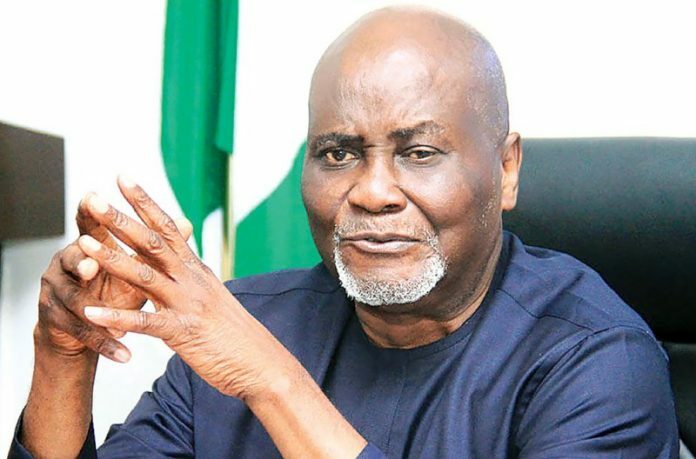 Documents obtained by SecretReporters reveal that the Special Assistant to the President on Amnesty for Niger Delta, Mr Dokubo has awarded the sum of N88m (Eighty-Eight Million Naira) for the training of 22 youths from the Niger Delta regions as Barbing and beauty salon professionals. The training contract with reference number PRO/SAP&CAP/TOVO/2019/0010/V/C.1009 was officially signed, dated and issued by same Dokubo who also doubles as the Coordinator of the Niger Delta Amnesty programme to Tovo Vicks Nigeria Enterprise Limited on the 24th of January, 2019 with the training designated to be completed within one month. This sum does not include provision of barbing and saloon materials to the participants or money to pay for rental spaces after the training. Our search on the Corporate Affairs Commission’s database for the company details further revealed a similar company Tovo Vicks Nigeria Enterprises registered on the 21st of May 2009 with registration number BY121 and an address located at 5 Rt Hon. Peremobowei Ebebi Road Kpansia, Yenagoa, Bayelsa while the contracted company Tovo Vicks Nigeria Enterprise Limited registered on the 28th of October 2013 with registration number 1150012 had a contradicting address of Road 23, Toko Street, House 8, Kado estate, Abuja FCT as against the initial address of No. 30 Bomadi Close, Bomadi LGA, Delta State as seen on the contract letter. More information garnered, showed that the award of this contract was purported to have been given on a platter of gold to one of the close allies of the Niger Delta amnesty boss as no official public advert or biding was made for the contract which negates the contract rule of advertising projects to be bided for. Attempts made to reach the coordinator proved abortive as he did not answer his calls and also didn’t reply to the text message sent to his phone number as at the time of filing this report.